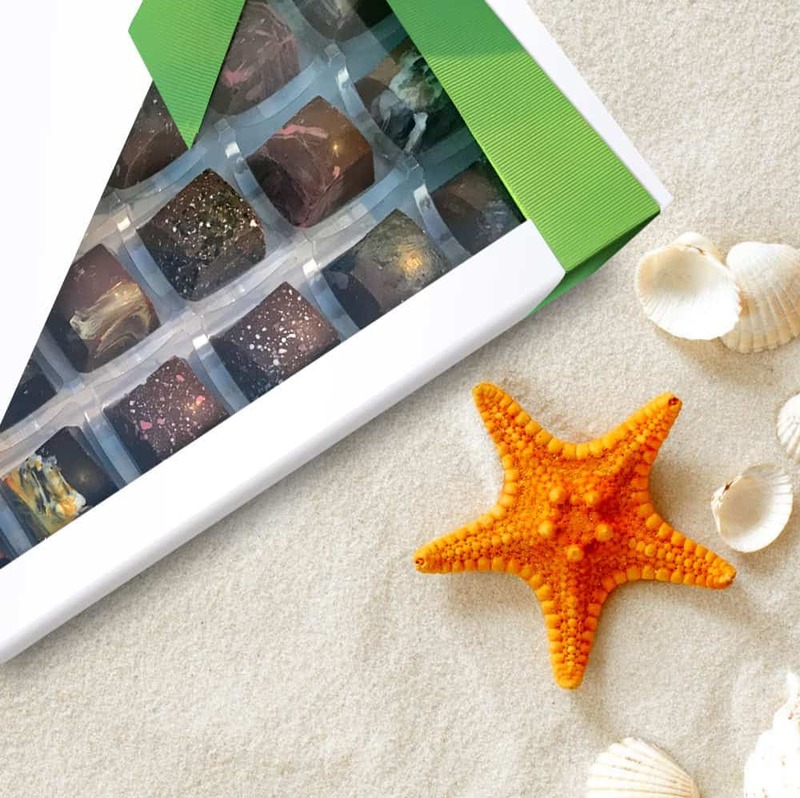 You’d think that the mere thought of having luxury Belgian chocolate delivered to your doorstep at the touch of a few clicks would be enough to persuade chocolate lovers to part with their money – but it’s not always that simple. 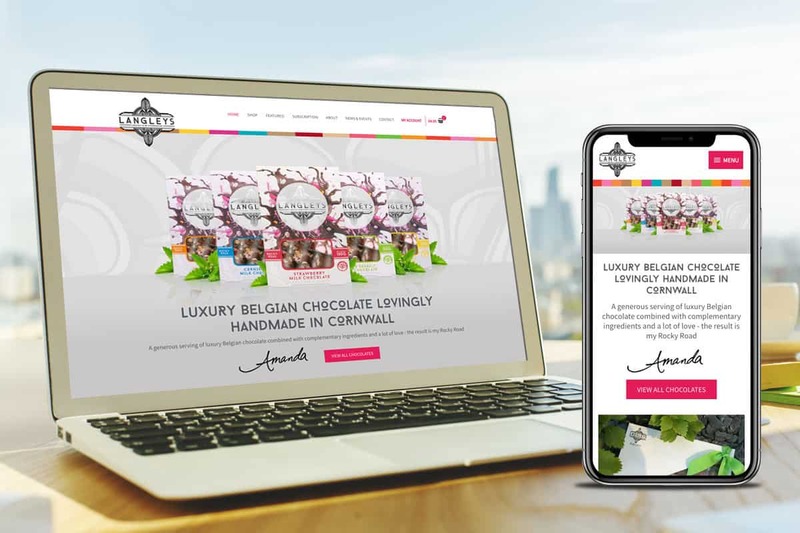 So, when Langleys approached us to help improve the online sales of their award-winning, handmade Rocky Road chocolates, we were eager to get our teeth into the project. The result is more than just an online chocolate shop, it’s a place where lovers of chocolate can indulge their imagination and their taste buds, effortlessly and enjoyably. It takes more than just a sweet tooth to persuade visitors to return time and time again. Which is why at Oxfinder we place a great emphasis on understanding buyer behaviours when purchasing online; creating custom-made user experiences that go the extra yard and actually enhance conversions. For Langleys, a combination of the simple and uncluttered user interface (UI), and mouth-watering content (written and visual) now makes purchasing even more irresistible. 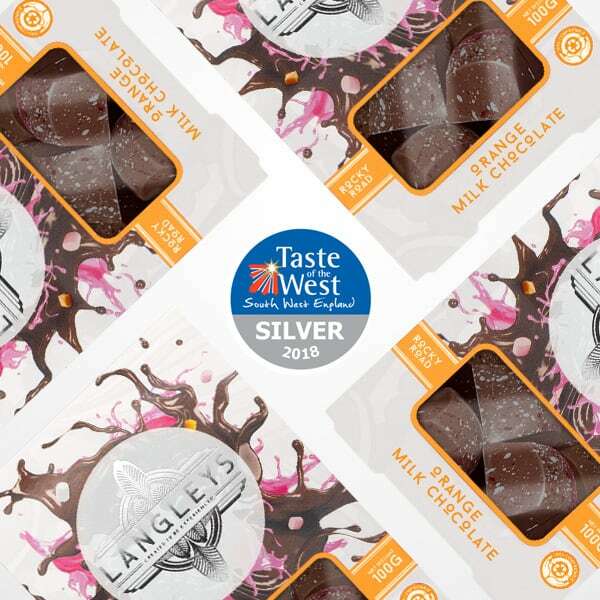 “The smooth milk chocolate infused with zesty natural orange delivers the distinctive taste of our Orange Rocky Road – most worthy winner of the Taste of the West Silver Award 2018”. Want to know how good these mouth-watering Belgian chocolates taste? Now add a fully optimised basket and checkout process, and it ensures that users who put items into their basket are far more likely to complete a transaction. Chocolate lovers are now neatly and seamlessly guided through the buyer journey as efficiently as many of the successful high-profile brands. It’s early days yet, but Langleys are already reaping the benefits and have big plans to introduce 3-4 times the number of flavours and product selections over the next 18 months, as well as a monthly subscription scheme to keep valued customers coming back for more. Thanks to our belief in forward planning, we have already built into the site the ability to easily filter and browse by type and flavour, courtesy of the eCommerce platform WooCommerce. Take Oxfinder, add WooCommerce and you have the perfect ingredients for online sales success. As experienced online store designers, we will build your new streamlined, fully functional website on the world’s most popular eCommerce platform – WooCommerce. There are numerous eCommerce platforms on the market, but WooCommerce is widely regarded as the most versatile, and to date has attracted over 50 million users worldwide. In fact, nearly one third of all online stores rely on WooCommerce because it offers a feature-rich and versatile solution that has a proven success record. If you are in any doubt about its effectiveness, click here to discover why Oxfinder chooses WooCommerce when building an eCommerce website time and time again. Safe. Secure and fully customisable it transforms your online store into a vibrant, efficient sales machine. Don’t lose a single sale, start maximising the potential of your online store today! Now that we have whet your appetite with the success of Langleys online chocolate emporium, just think what we could do for your online experience. You don’t have to be a confectioner to entice visitors, but you do need the skills of Oxfinder’s dedicated professional online store designers who know just how to make the most of huge potential of online sales. Through 6 straightforward steps we will transform your site into an eCommerce sales machine, that entices customers to keep coming back for more. It doesn’t matter if you are already selling online and are frustrated with poor sales. Or you’re an existing business owner looking to start selling your products or services online. Oxfinder’s in-depth knowledge of the digital marketplace, our experienced eCommerce development team, online store designers, and the functionality of WooCommerce can help you to achieve your goals. With Oxfinder and WooCommerce by your side, we guarantee to sweeten the sales of your online store. Now is the time to engage with Oxfinder, your Oxfordshire based eCommerce designers. Do you need help with the design and development of a website delivering more traffic, more leads and more business?